Posted on April 28, 2017 by Kaylie W.
I have always been a fan of John Steinbeck’s novels, and his descriptive language and relatable characters never cease to draw me in. At relatively 600 pages, East of Eden certainly doesn’t disappoint. It’s not just a book; it’s a complete saga that powerfully chronicles the generations of two families. It isn’t just a retelling of the biblical accounts of Adam and Eve or Cain and Abel; it’s a story about the capacity of the human soul and heart. As with many of Steinbeck’s works, East of Eden is set in the beautiful Salinas Valley of California. The plot involves the intertwined destinies of the Trask and Hamilton families, but mainly focuses on the development of Caleb and Aron Trask, from birth to adulthood. Although they are twins, they are complete opposites of each other, in both appearance and personality. Each brother is faced with different obstacles throughout their childhood, but both share the struggle of coming of age and accepting their individuality. Cal and Aron’s journeys to overcome this struggle and embrace their inner selves ultimately depict the strength of love and the human spirit, as well as the power of human beings to break free of their apparent destinies and choose their own paths to follow. I absolutely love the characters and themes that Steinbeck masterfully conveys , especially through his use of metaphors and allusions. Buried within every page are countless allusions, and finding them is like a treasure hunt, attempting to uncover every single hidden meaning. Even the title is an allusion to the land of Nod, just to the east of the Garden of Eden, where Cain is punished and banished by God. The themes are also endless, but some of the most evident are good versus evil, rejection, whether or not we are our brother’s keeper, and timshel, or free will. Unlike many novels, East of Eden doesn’t focus on a single protagonist; instead, Steinbeck develops multiple complex characters, from the benevolent, virtuous Sam Hamilton, to the ruthless, malicious Cathy, to the insightful, compassionate Lee. Each character is relatable in their own ways and convey how even though we may all be human beings, we all possess different qualities that make us each unique. We may all be our mother and father’s sons and daughters, but what we make of our lives is ultimately determined by only our decisions and our will-power to exemplify timshel. 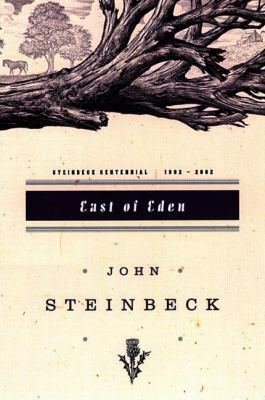 East of Eden by John Steinbeck is available for checkout from the Mission Viejo Library. Posted on April 26, 2017 by Katharine L.
Jeffrey Lionel Magee lives a normal life until his parents are killed in a tragic trolley accident. He’s sent to live with his Aunt Dot and Uncle Dan and despite Dot’s sporty name, it’s not a fun household. Uncle Dan and Aunt Dot are strict Catholics who hate each other, meaning Maniac grows up in a loveless, largely silent house. When he’s 11 years old, he’s finally had enough, and takes off running. Yup, literally running. He runs for a couple hundred miles and a year, and ends up in Two Mills, Pennsylvania. Maniac doesn’t know it yet, but Two Mills is a divided town. (Okay, well, maybe the name should have been a clue.) The East and West End are separated by Hector Street. Maniac’s first stop is the East End, where he meets Amanda Beale and her suitcase of books. Maniac goes back and forth between the East and West End, making a few friends and mostly enemies, and for some reason never really noticing that the West End is entirely white and the East End is entirely black. When the Beales realizes that Maniac is homeless, they take him in as a member of their family. Life is great for a while, but eventually the East Enders start getting him down. See, not everyone loves the idea of a white kid living with a black family in a black neighborhood. So Maniac (after a quick detour solving Cobble’s Knot) takes off. Long story short, he moves in with a buffalo family and then meets Earl Grayson, a washed-up former minor leaguer. Things are really hunky dory for a while: Maniac’s got a temporary dad, Grayson learns to read, they celebrate Thanksgiving and Christmas. And then Grayson…dies. And Maniac is alone. Again. Maniac’s not doing so well this time, and ends up cold, starving, and alone in Valley Forge. Good thing Russell and Piper McNab find him on their way to Mexico. These two little hoodlums provide a reason for Maniac to stick around for a while, in a nasty, nasty house filled with some nasty, nasty people. But the little McNabs need Maniac, and he steps up. Eventually, Maniac leaves them behind as well to move back in with Baby Buffalo and his mom (really). He’s living there when his friend/enemy Mars Bar Thompson and his adopted sister/BFF Amanda Beale find him and make him come home. That’s right, home. To his family. It looks like Maniac has finally found what he’s looking for. 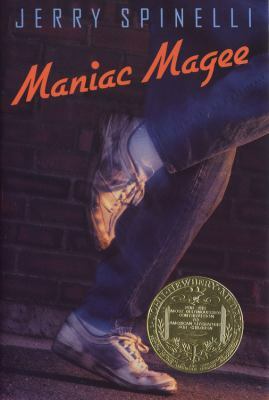 Maniac Magee by Jerry Spinelli is available for checkout from the Mission Viejo Library. It can also be downloaded from Overdrive. Posted on April 25, 2017 by Jessica T.
Shakespeare’s classic play, “Romeo and Juliet,” sheds a light on young love and risky decisions. Depending on what you think of Fate, you either really enjoy this romantic story or get extremely annoyed with its resolution. It’s a light fun play that touches on youthful passion but ends on a dark twist. Taking place in Verona, Italy, this tragedy illustrates the romance between two teenagers from two feuding families. Ultimately, Romeo and Juliet are enemies but after they meet at a party, their family names are nothing more but a barrier between them. They get married in secret with the help of a few characters and plan to run away together. However this plan is altered when a series of unfortunate events results in both of them tragically dying. Many simple mistakes and the tragic ending could all have been avoided with a little more communication and clear thinking but Shakespeare wanted Fate to play a huge role in the outcome of the play. In my opinion, the best aspect of this play is the flow of words and the speech that brings everything alive. The writing style itself is beautiful and Shakespeare finds a way to use words to shape the plot. For example, Romeo’s speech is dull and full of misery when he is rejected by Rosaline but as the play progresses and he meets Juliet, his words are bedazzled with figurative language. Juliet also has lovely soliloquies that are fun to annotate and dramatically read aloud. Another way Shakespeare really enhances his play is the use of characters. He provides the young and inexperienced Romeo and Juliet, the hysterical and crude Nurse, the outspoken and verbal Tybalt, the self-righteous and semi-helpful Friar Laurence, among many others to advance the play and add comic relief. Shakespeare skillfully writes this play to demonstrate Romeo and Juliet’s forbidden and rebellious love and the painful cost that hateful feuds bring. 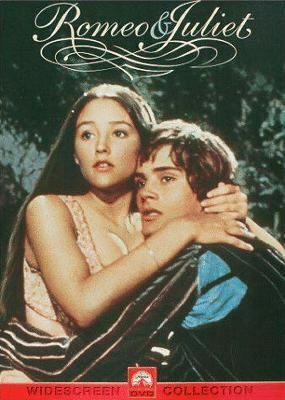 Romeo and Juliet, and collective works of William Shakespeare, is available for checkout form the Mission Viejo Library. Posted on April 24, 2017 by Jessica T.
With a chilling and intriguing beginning, Neil Gaiman instills a desire to keep reading. It’s one of those books that you almost cannot put down once you start. Gaiman’s unique plot line and incredible writing skills create such a vivid image in your head, it’s like you’re standing right there, in the middle of a graveyard. Starting off with the gruesome death of a family, Gaiman automatically begins his book with an adventure. The story only gets better when the reader realizes the family’s baby slipped away unnoticed by the killer and ventures out the front door to, where else, but a graveyard. Gaiman writes with a dramatic, ominous tone and paints a picture of the dark sky and lonely graveyard. After a suspenseful scene, the baby is hidden by the intrigued spirits of the yard in the nick of time. A problem begins to rise when residents of the graveyard debate if the child should be taken in or not. Soon it is revealed that the human child will be adopted by the spirits and granted the Freedom of the Graveyard. The baby is introduced with a new name, Nobody “Bod” Owens, and the novel unwinds to reveal Bod’s adventures within the graveyard premises. Surely with the hundreds of ghosts to the mysterious man who lives on the borderline of life and death, Bod would be safe. But Gaiman’s novel doesn’t rest on safety and support; rather it’s the complete opposite. Gaiman spins off into a wonderful journey starting from when Bod is at the young age of four. The graveyard holds many thrills and Bod makes no hesitation to jump right in. He befriends fellow humans and goes on reckless adventures, specifically to the grave of a Sleer: a snakelike creature who is the oldest creature in the graveyard and guards precious treasure. Bod also has a tendency to get himself into trouble; this is a result of his curiosity and mischievous personality. He literally falls into a death trap when he falls through a ghoul gate. He is transported into the Underworld and is on the brink of death before he is rescued by an unlikely soul. The young protagonist continues to stumble through life inside and outside of the graveyard. He encounters near death, celebratory dances, risky friendships and lasting memories until the end. Neil Gaiman uniquely twists the themes of love, home, safety and family by setting his story in a graveyard, a place normally acquainted with death, gore, horror and dullness. Bod realizes that life is always changing and there’s always more to discover. The reader learns along with Bod, runs side by side Bod in his adventures, fights evil alongside Bod and ultimately, falls in love with the graveyard as Bod does. 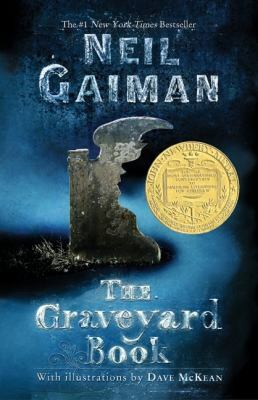 The Graveyard Book by Neil Gaiman is available for checkout from the Mission Viejo Library. It can also be downloaded from Overdrive and Hoopla. Posted on April 24, 2017 by Rebecca V.
I don’t normally enjoy history. It’s my worst subject in school, and I can never focus on memorizing facts for tests. Before Front Lines, I have only enjoyed the Dear America series and The Only Thing To Fear by Caroline Richmond. Usually whenever I read one, it feels like I’m in school. I picked Front Lines off the New Shelf at the Mission Viejo Library because I saw that it was a new Michael Grant book, and I completely freaked out. I didn’t even read the inside cover to see what the book was about until I got home. I originally thought that it was going to be something along the lines of his Gone series, which is still one of my favorite book series. Out of the books I checked out that day, I left this one until the end because I still wasn’t sure that I wanted to read a historical fiction novel. Front Lines is about an alternate World War II. What if women could fight in the war? The book is told through the perspectives of Rio Richlin, Frangie Marr, and Rainy Schulterman. I think that this book really makes you wonder about how World War II could have been fought differently if women were fighting on the front lines. I’m hoping that a sequel comes out soon. Even though the book is over 500 pages, you still want to know what would happen next. For people who have fallen in love with the Gone series, I encourage you to read this book. It’s good for all teens. 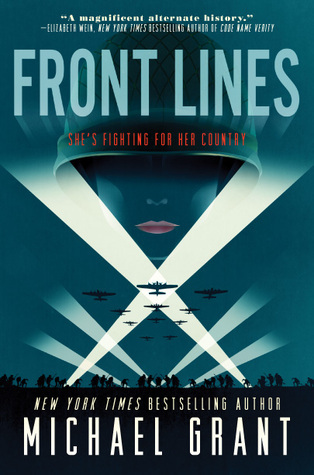 Front Lines by Michael Grant is available for checkout from the Mission Viejo Library. Posted on April 23, 2017 by Jessica T.
Recently, a series for the novel Thirteen Reasons Why, was released on Netflix. Out of curiosity and the large amount of people raving about it, I decided to watch it. I read the book a couple years ago and hoped the series would do well to mimic it. Please note that this is a serious and powerful piece of work with triggering and sensitive topics. While it holds important lessons, it may not be a book/series for everyone. A quick synopsis: Hannah Baker is the new girl at her small high school, ready for a fresh start. Almost immediately she captures the attention and interest of many and while it seems like her life is going well, it takes an unexpected downward spiral. Social media, rumors and loneliness saturate Hannah’s life and turn it upside down. She suffocates under pressure and undergoes numerous internal issues. Eventually she commits suicide and leaves behind thirteen cassette tapes holding thirteen reasons why she ended her life. The thirteen people responsible for her passing are hit with the overpowering realization that their actions and words are more than just actions and words. The book, written by Jay Asher, is incredible and captures the essence of what it is like to be a teenager, overwhelmed by the struggles of today’s society. The book was personal and eerie but the series made everything come to life. Yes, the series over exaggerated some parts and added more details to parts in the book that were briefly discussed. However, that realism and graphic detail is what really speaks and captures the attention of many. Without using detail to demonstrate the severity of Hannah’s problems, people can be tempted to overlook them. The book and series share similarities such as the relationships between the characters, and the secrets and rumors that get spread around. Like any book and show, they hold differences as well. The biggest difference is how raw the series is. There are more in-depth character backgrounds, more dramatic confrontations between characters and heavier, darker scenes. This book is a huge metaphor; while Hannah is one individual in this one particular book, she stands for every human in this world that may be going through exactly what Hannah went through. She stands for those who are too scared to speak out and she stands for what our society needs to fix. Thirteen Reasons Why not only acknowledges flaws in our world but also shines a light on the importance of being kind and realizing that everyone fights their own personal battles. 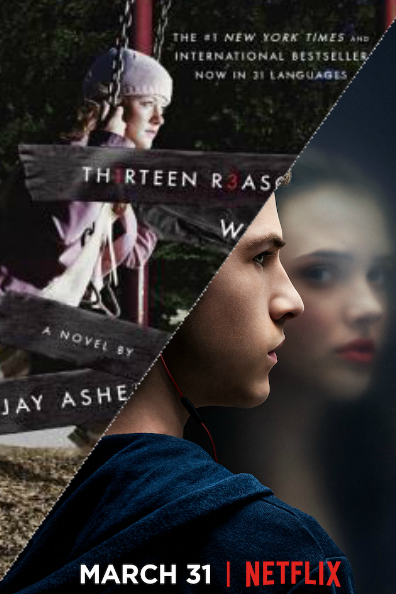 Jay Asher’s Thirteen Reasons Why is available for checkout from the Mission Viejo Library. Posted on April 20, 2017 by Anmol K.
Super Human by Michael Carroll is about four kids teaming up to help save the world. Unlike other teenagers their age, three of them have super powers, making them superhumans. With strength and speed, Abby de Luyando has power over metal items. Rox Dalton has the ability of telekinesis, while James Klause can control and manipulate sound. The last member of this group, Lance McKendrick, may not have any superpowers, but his talking skills can get him out of sticky situations. In this adventure, these four, with the help of other established superhumans, work together in order to defeat the group named Hellotry. Intending to bring back the fifth King from four thousand years ago, the Hellotry want him to rule the world because he was the first superhuman in existence. In order to make taking over the world easier, the Hellotry release a plague in order to kill off all the adults, and only leave the kids behind. The four teenagers have to not only defeat the fifth King, after he is summoned to the real world, but also need to find a cure to the plague. Starting off with action, this book wasted no time in getting the characters introduced and building an exposition. The first couple of chapters jumped around, and introduced each character in a relatable way because of the everyday situations he/she was in. Also, the transition in the kids joining forces was seamless. One thing that lacked a little bit in this story was character building; the story was a bit too focused on the plot, which hindered the characters to develop. Also, the plot was a bit predictable, but there were still a couple of unexpected twists. Overall, a great read for anyone looking for some superhuman adventure! 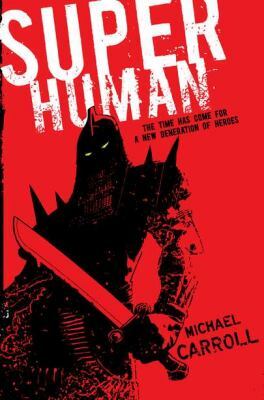 The Super Human series by Michael Carroll is available for checkout from the Mission Viejo Library.